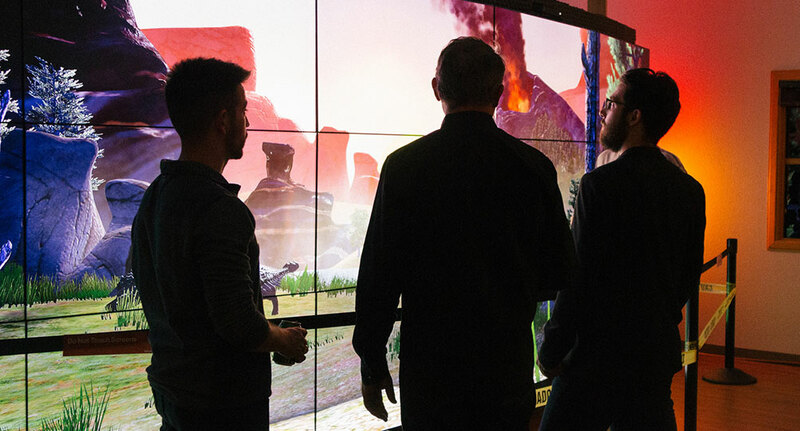 Join us at our studios in Corrales, NM to see our latest immersive digital experience projects—and enjoy good food and company. Twice a year, we open our doors to friends, family, and colleagues to show a selection of our latest projects. In 2017, our fall Studio Party is shaping up to be one of our best ever. Please join us to see and interact with a selection of installations we are creating for clients across North America. We’ll be showing an application that has just been unveiled at the reopening of the America’s Presidents exhibition at the National Portrait Gallery. We’ll also feature the latest in luxury real estate marketing: the interactive sales tool we created for Canada’s tallest skyscraper, soon to open in Toronto. We’ll also demonstrate a special internal project that utilizes interactive projection to educate people about Pueblo pottery. Ideum consulted with UNM Visiting Artist Clarence Cruz to structure the application to showcase pottery in a completely new way. Local Acoma artist Michelle Lowden produced traditional designs from different time periods to use in the application. Guests can mix and match Michelle's designs to create a unique decorative pattern that will be projected onto a pot. 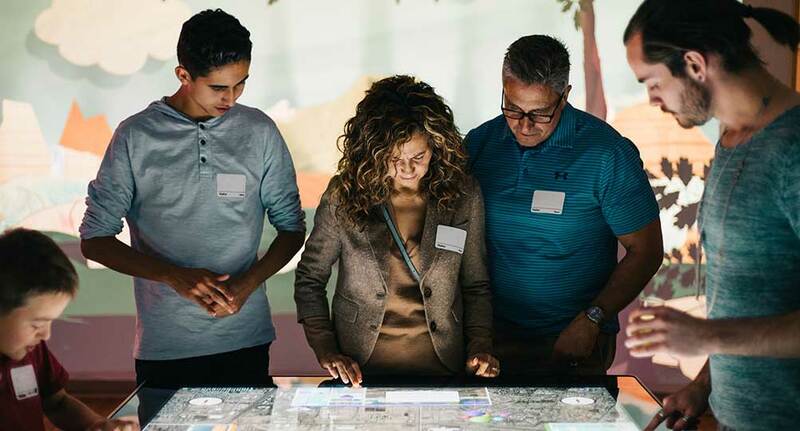 We hope guests use this interactive to cultivate a deeper understanding of Pueblo pottery traditions. Studio Party guests will also have the opportunity to tour our facilities, including our Production areas and Industrial Design studios. 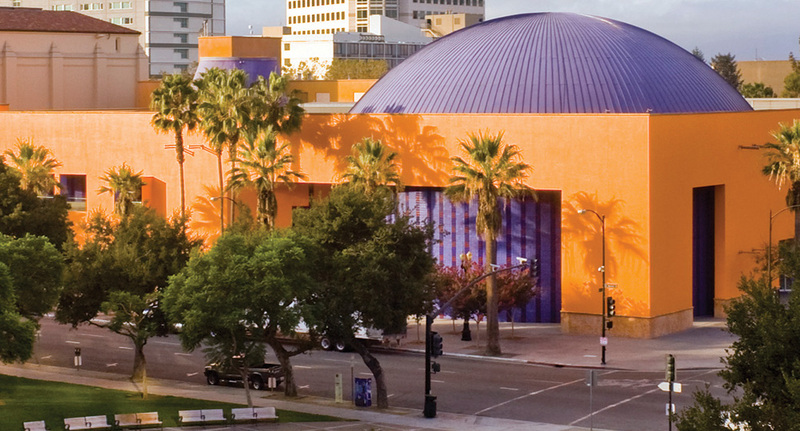 Here is where we design and build our custom hardware and our full standard line of multitouch tables and touch displays. Will you be in the Albuquerque area in early November? 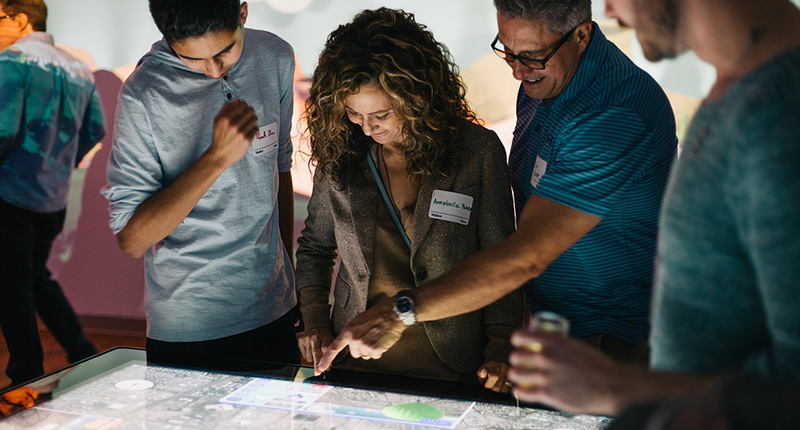 If you’re interested in joining us at the Studio Party to see our touch tables and learn more about the innovative technologies behind our interactive experiences, please feel free to contact us and we will provide all of the details. Guests are drawn in by an immersive video wall. 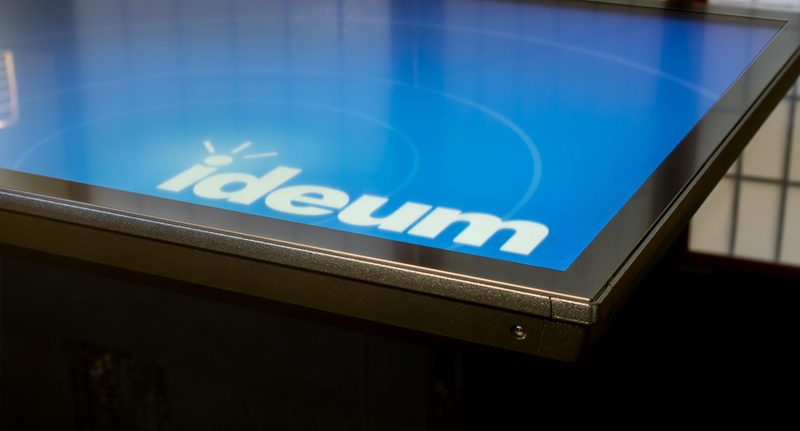 Our touch tables are built from durable aircraft-grade aluminum. 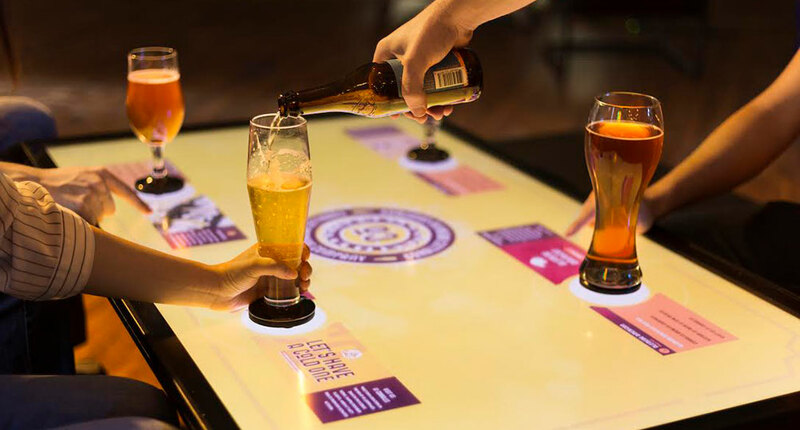 Beer-tasting app showcases Tangible Engine object-recognition.